Once you’ve mastered the basics of French cooking with dishes like vichyssoise and bouillabaisse, you’re ready to move on to more complicated techniques. 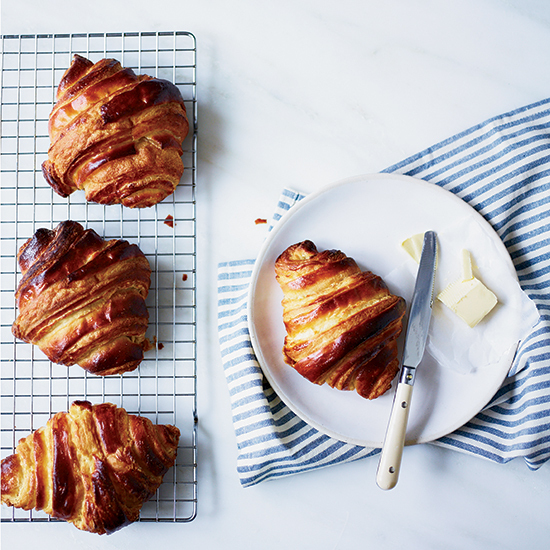 Whether rolling out homemade croissants or flambéing crêpes Suzette, perfecting these 17 recipes will upgrade your French cooking skills from beginner to expert. The only thing more quintessentially French than a flaky, buttery croissant is making said flaky, buttery croissant by hand. Don’t be put off by the amount of time required to get this classic pastry right. The longer it takes the better it tastes, right? Quiches come with all kinds of toppings these days, but the classic Quiche Lorraine is made with Gruyeré cheese and bacon. This recipe mixes in chopped chives, but we suggest experimenting with other herbs, like sage or rosemary, for depth of flavor. Alain Ducasse’s double-baked cheese souffle is all about the dairy, from Parmigiano Reggiano and Comté to milk and heavy cream. 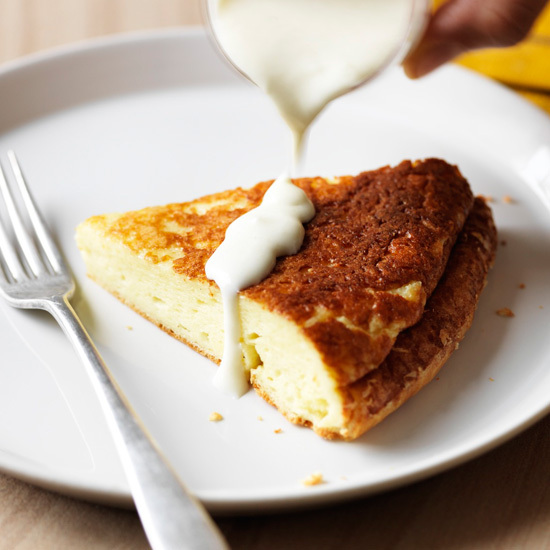 The end result is light, fluffy, and creamy. 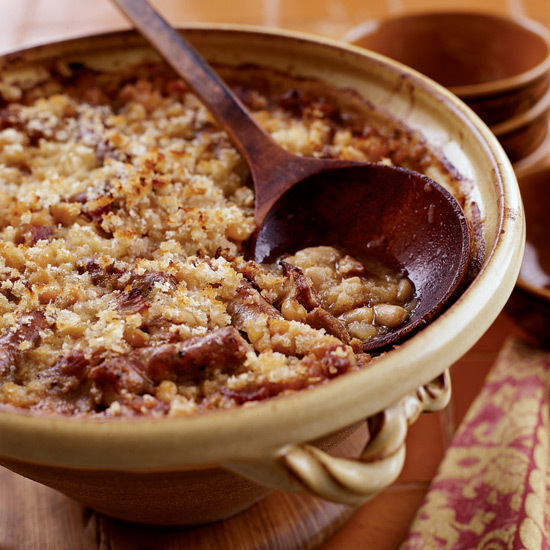 Paula Wolfert’s cassoulet is not for the faint of heart. Using ingredients and methods that are traditional in the southern French city of Toulouse, this slow-cooked casserole is made with white beans, seven different types of pork, and duck confit. Jonathan Waxman uses Golden Delicious apples in his tarte tatin, but the stunning dessert can be made with other kinds of fruit, too, like Shawn McClain’s version with pears. 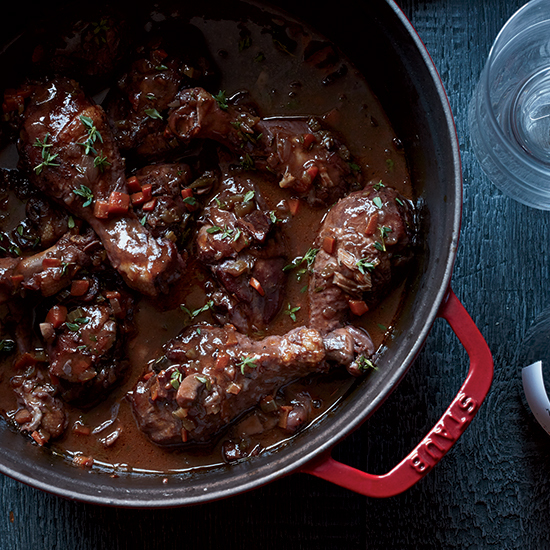 If you’re going to try your hand at coq au vin, it’s best to start with a recipe from one of the greats. This one comes from Eric Ripert, and it’s made only using drumsticks. 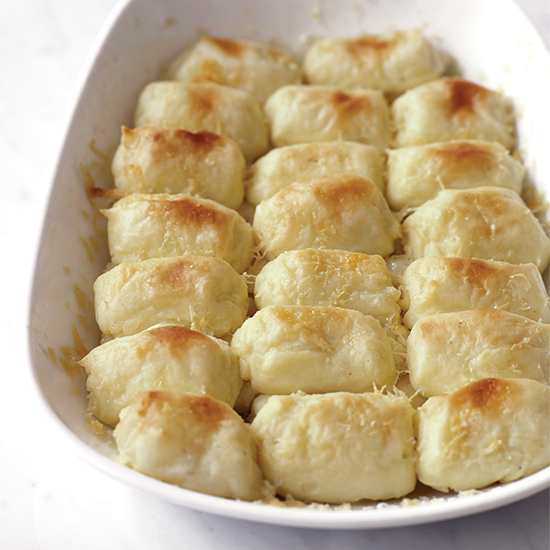 Not to be confused with Italian gnocchi, Gnocchi Parisienne is made of pâte à choux—otherwise known as the dough used to make pastries like profiteroles and eclairs—that is poached then baked. 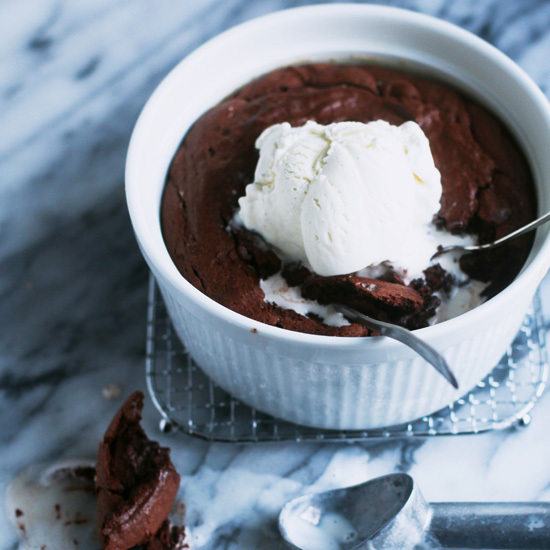 Soufflés have a reputation for being difficult to master, but the beauty of this dessert is that, even if all goes wrong, it will still taste good. Once you have the recipe down, you can experiment with cooking times, leaving the soufflé in the oven longer if you prefer that well-done, airy texture or taking it out early to achieve a gooey center. 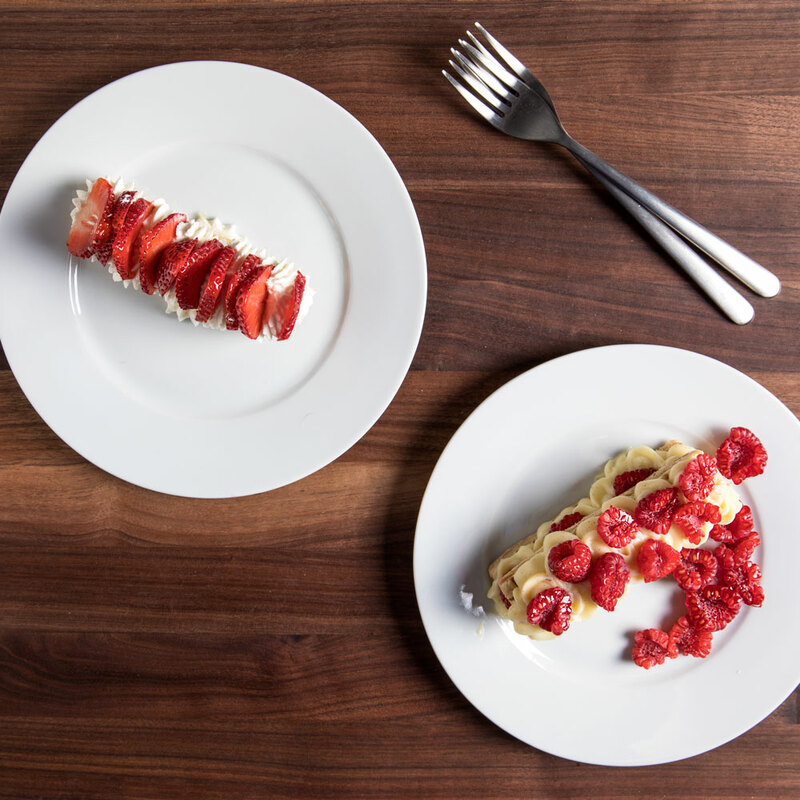 Alex Guarnaschelli’s raspberry-and-cream millefeuille is made with store-bought puff pastry—a simple hack to help master this beautiful dessert. The trick to veal blanquette is ensuring that the finished product lives up to its name. In other words, both the veal and the butter should be kept from browning. In Gabriel Rucker’s version, the dish is coasted in a white cream sauce for extra richness. 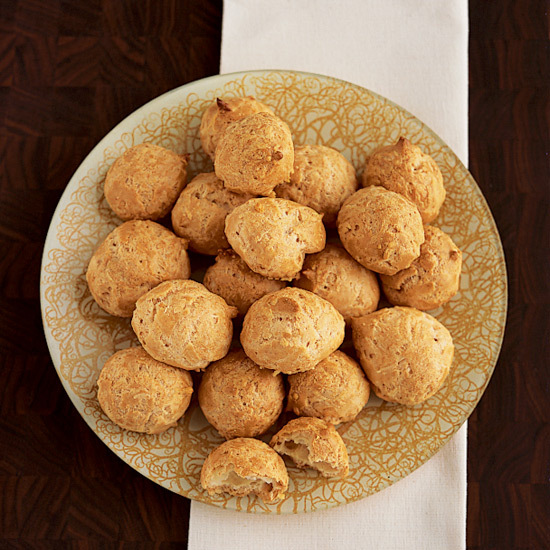 Alain Ducasse's gougères, which are essentially baked balls made of cheese and bread, are easy to master and sure to impress dinner guests. 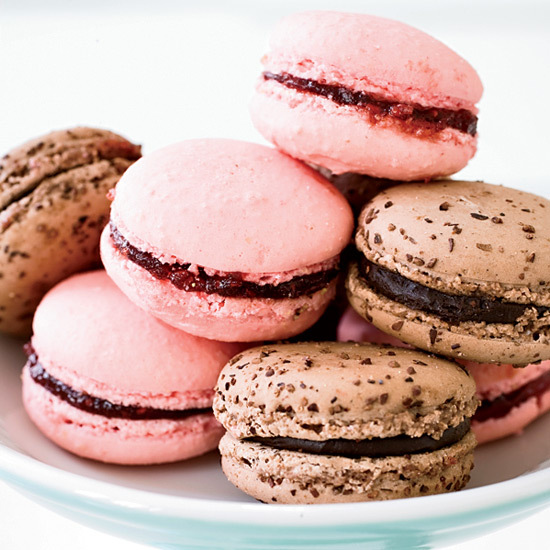 Macarons, not to be confused with coconut macaroons, always seem to cause trouble for contestants on baking shows. The delicate cookies often come out misshapen or cracked. But with François Payard’s recipe in your back pocket, you’ll perfect these vexing confections every time. 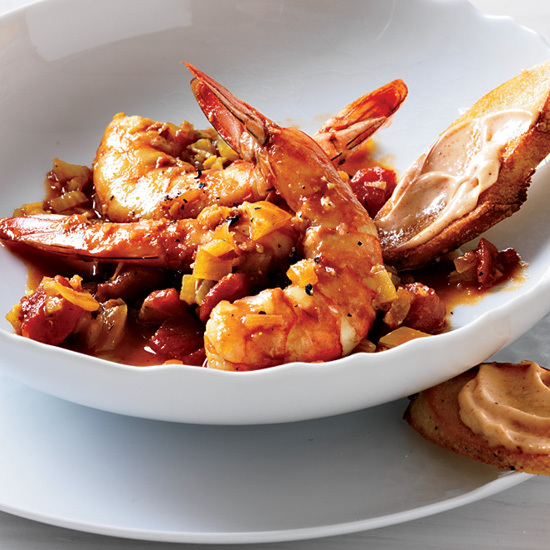 Melissa Clark’s shrimp stew has the perfect balance of salty seafood, sweet spices, and sour citrus. Not to mention an ideal crunch when served with toasted baguettes. This rustic pâté is a great accompaniment to any charcuterie board. 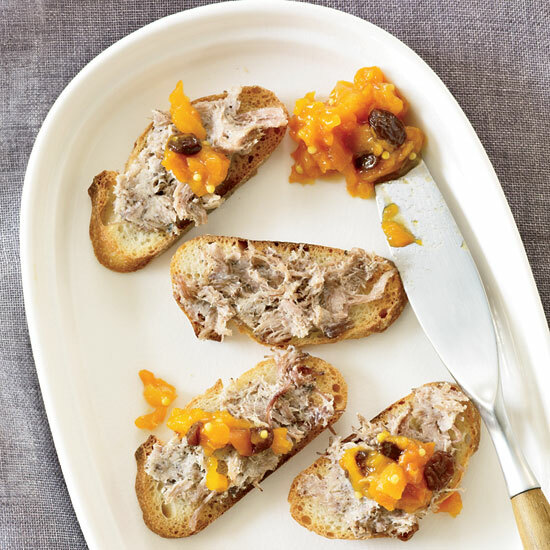 Though it’s easy to go out and buy a jar of rillettes, it’s so much more fun to tell your friends that you made it yourself. 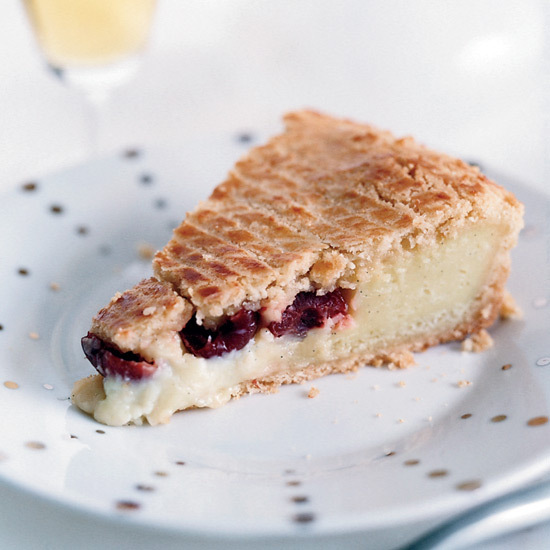 Made of pastry cream, brandied cherries, and flaky crust, this tart from Daniel Boulud is inspired by the French Basque Country. 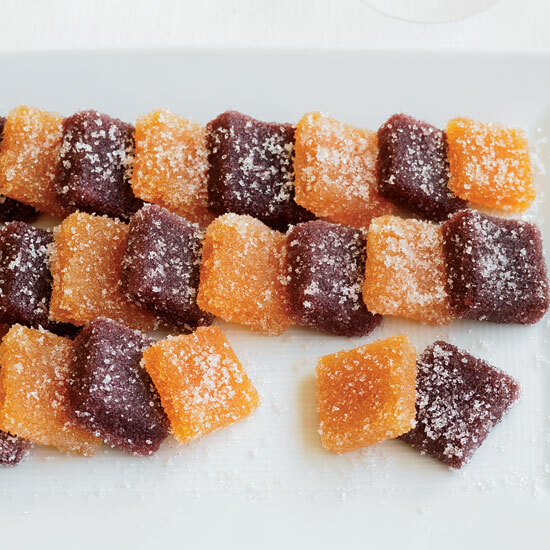 These fruit jellies, which are sold in patisseries throughout France, are especially popular during the holidays. They may seem daunting, but they really just require a few stages, and the key ingredient of gelatin. If you can reduce liquid in a pan, mix fruit in a blender and let something rest in the refrigerator overnight, you’ve got this beloved French treat down.